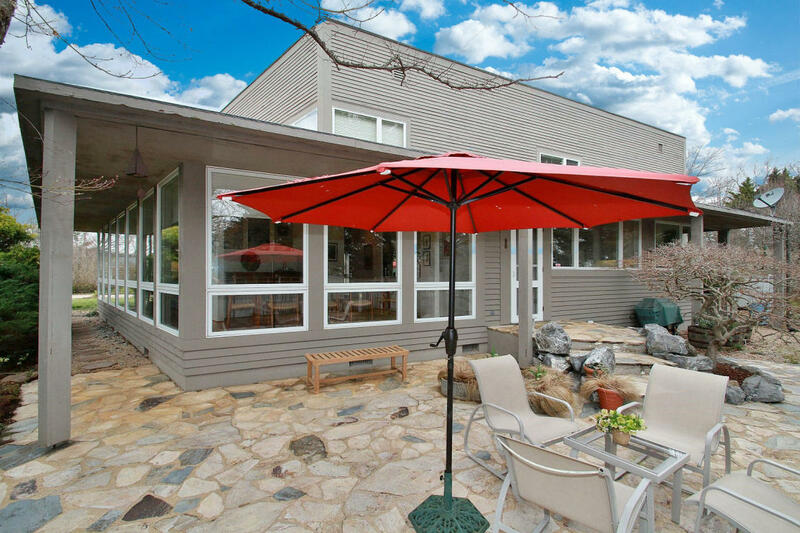 Elegant passive solar Modernist 3BR/3BA home on landscaped 1-acre sanctuary in prestigious Providence Hill! Architect designed for informal entertaining, ease of maintenance & energy efficiency, this home features a dramatic wall of 8' windows, gleaming wood floors, and transitions wonderfully into outdoor spaces. Master bedroom options on both levels. Enjoy the remarkable use of space & light while you entertain in comfort and style!